My dear brothers and sisters in the Lord Jesus, already I can see a remarkable difference between yesterday morning and this morning. Yesterday morning I saw so many faces still filled with sadness. But now, when I came here on the stage, I found greater joy on you faces. And you were singing more joyfully than yesterday. And therefore, in the words of Saint Paul, Christianity is a religion of peace. A peace which is in the heart, because only if there is peace in the human heart will there be peace among the nations, among the people. Politicians are trying to have only an artificial out of peace, among people whose hearts are still filled with bitterness and hatred. And the Christian answer is that there cannot be peace in the world unless there is peace in every human heart. And that interior peace can only come to a deep experience of the Lord’s inner healing. Again, in the words of Saint Paul, Christianity is the religion of love, not only love towards God but more in a way among ourselves. The problem in the world today is too much hatred. Love, however wrong, is still love. But the problem of the world is hatred and what Christianity, authentic Christianity, is offering the world is love. If there is no love in the heart you cannot call yourself a Christian. And thirdly Christianity is a religion of joy and the Lord wants us to evangelize thru the joys in our hearts and thru the joy in our faces. And therefore in every church in Brazil, the Sunday, Eucharistic celebration must be celebrations of joy. But joy can only come about if there is peace in all of those attending the Eucharist. Only if there is love in the relationships. Yesterday morning, we spoke about God, our father, and we said the Bible says of God that God is love. And Jesus tells us to pray to God calling him father. And Saint Paul says our father God, is a God for us. For us. If God id for us, says Saint Paul, who can be against us? And I told you yesterday that the name I prefer to give God, our father, is a God for us, the God by our side, the God that is always tending for us. Then we spoke about the greatest gift of God our father to us and the greatest gift of God to us is Jesus, His only son. And the Gospels give us a special name of this Jesus, it says that Jesus is God with us. He is Emanuel, with us. That is how the Gospel begins, by saying that a little baby that is just born is God with us. And how does it end? 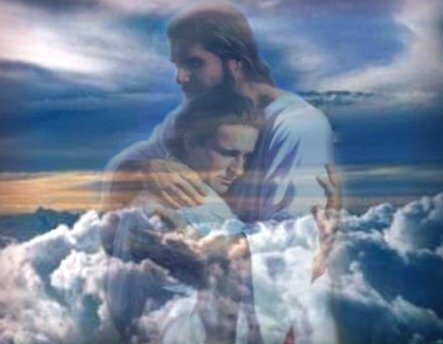 By Jesus himself saying I am the God with you, I will be with you always until the end of times. And as we read the Gospels we will see that Jesus comes to do two main things. One is something negative, that we may not be in sin, that we may not be physically sick, that we may not be emotionally broken, that we may not be under the power of Satan. But don’t forget that Jesus has come to also do for us something positive, to give us peace which the world cannot give, to give us a power that only God can give, to give us the new life that can only come thru the Holy Spirit. And this morning I want to continue by telling you what Jesus is still doing for us today. Now, you know I am not telling you (applauses) rather I am relaying to you a fact of history. When Jesus was to be condemned to death and Pilate wanted to save Jesus at any cost, Pontius Pilate. You know how many attempts Pilate did to save Jesus? Because he knew Jesus was innocent. Finally he thought of an brilliant idea, he knew that at the time of Passover the Jews had the privilege of having one prisoner set free for them. And Pilate said “I know I have in jail the worst prisoner I ever had and his name is Barabbas, but I will bring him before the people and I will tell the people ‘choose whom do you want to be set free’” And Pilates was sure that no one would want Barabbas to be set free. Barabbas was a notorious robber, the Gospel tells us. He had killed so many people, he was like Hitler, worst like Stalin, or like Milosevic. Nobody wants him to be set free. And Pontius Pilates was sure that everyone would want Jesus to be set free, so many of them had been healed by Jesus and therefore Pilates said with certainty “choose which one you want to be set free.” But you know how crowds can be swage in any way and the leaders began to impress on the crowds not to choose Jesus to be set free. And the crowds asked for Barabbas to be set free. And Jesus was put to death in place of Barabbas. Barabbas is you and me. Saint Paul says all of us have sinned. Sinning in the Bible is not only doing bad things, is also not doing the good things we should be doing. In the Bible sin means falling short of God’s expectations of us. And therefore Saint Paul says in the Roman’s letter “do you think that you Jews are better than the gentiles? Do you think that you Jews are better than the pagans?” And Saint Paul says “not at all. All of us, the Jews and the Pagans, we have sinned.” If Saint Paul was here just now he would’ve asked us the same question. 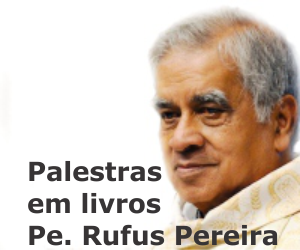 Do you think you, Catholics of Brazil, are better than the Hindu’s of India? And Saint Paul would have said “not at all”. All of us have sinned, then the Bible says that the wagers of sin is always death, therefore, conclusion, all of us deserve to die. Physically, emotionally, spiritually. But, and this but is the “but” of salvation, Jesus has died in our place. He has taken upon himself all our sins, all our sufferings, all our wounds. And in the tremendous words of Saint Paul “Jesus who we knew had no sins became sin.” Became sin, so that we could become his holiness. But because Jesus died in our place, we don’t have to die anymore. This is the Christian meaning of salvation. What does salvation mean specifically for the Christian faith? Is the experience and the assurance of forgiveness of sins. Everything else is secondary. But this is what Christian salvation means. Many years ago there was a series of murders in a town in India. Many, many cases of murder then and for one year the police could not find the causes, the perpetrators of these murders. Finally they found out the four assassins. They were all young people, from very good and rich families, Hindu families. And when the magistrate was passing judgment on them he said “this is one case where I have a pleasure on passing judgment of execution.” Because the whole country of India had an aversion towards these four cynical assassins. Because they had killed these ten people, good, innocent people, only for the joy of killing and for the greater joy that they would never b discovered by the police. And the leader of these four when he heard the sentence of death passed on him only smiled a cynical smile. And then came his time in the prison. And people were sending him many books to read. And there was a charismatic group in that town. They were sending him bibles and Christian literature. At first he threw them aside, but he had nothing else to do, he began to read them. And then he wrote to his mother “Mommy, the only book I now read is the Holy Bible.” And then came the day of his execution and as he was being taken up to the scaffold to be hung, the magistrate asked him “do you have one last wish?” and he said “yes. I would like to read the Holy bible” and he opened the bible on Luke’s Gospel, chapter 23, where we have a very strange story of two criminals being crucified together with Jesus. That criminal from the town in India read these two verses, from Luke’s Gospel, chapter 23. He closed the bible, gave it back to the magistrate, went up the scaffold and was hung. The whole of India still thinks he was India’s worst criminal, but we know, a few of us know, that he is with Jesus in Paradise. My dear brothers and sisters, that incident in the passion of Jesus is not meant to be a story that happened 2000 years ago. Today, the Lord is asking us which side of the cross we want to be? Do we want to be on the left hand side? And to be aware of my sufferings and my problems and to tell Jesus “Take away my problems. Take away my sufferings.” And when Jesus does not do that maybe to curse Jesus. There was a young man in Bombay that was very, very sick. But before that I went to see a young lady that was sick and she was just 18 years old and unfortunately she died. She belonged to a very religious family, daily communicants. But at the funeral when they came to take away her body for burial in the cemetery of the church her mother began to be hysterical, her mother began to cry out, her mother began to scream, her mother began to shout, her mother began to curse God. Or would you rather be on the right hand side? And as the thief on the right hand side, know your problems, know what sufferings you are going thru, know the pains and hurts of your heart, and then you just pray to the Lord. And you tell the Lord “Lord, I know yours will be the final victory in my life.” And to just praise him for all his suffering. I went for a funeral of another person. A young man, belonging to the charismatic prayer group, he was suffering from leukemia and he died. He was the only son of his parents. But throughout the night there was singing and praying and for the funeral, I was there for the funeral, singing and praising God with everyone. I was there with my piano and accordion. And the people asked these persons the next day at the offices, Hindus asked Christians the next morning, “tell us more about your religion. If there could be so much joy even in a funeral there must be something in it.” The parish priest who was anti charismatic when he saw the joy and praising at his funeral for the next few days would speak about it at all his masses. And then he came into the charismatic renewal. My dear brothers and sisters, where would you rather be? On the left hand side of the cross? And know your sufferings and problems and when nothing is happening, curse God? Or would you rather be on the right hand side? And know your sufferings and problems and praise God. Because as I praise God my problems become smaller and smaller. And God becomes greater and greater. Choose where you rather be. My dear brothers and sisters, therefore I speak again and again, that the greatest healing we receive is the spiritual healing. The healing that comes about from the experience of God’s forgiveness towards us. When we repent and come back to our father. As I said yesterday Jesus has also come to heal the human heart and to heal us even to our past, which is incredible. Has come to heal our family background. He has come to heal us when we were in our mother’s wound. He has come to heal us when we were in our childhood. And I feel, and I have been saying this everywhere, that this aspect of Jesus’s ministry, inner healing. It is so important and necessary that every human being in the world must have gone thru a process of inner healing, must have said a prayer for inner healing, if possible, even gone to a retreat for inner healing. Some years ago, I was giving a retreat to sisters and the mother general, and the mother superior, the general of that congregation, brought a woman to be prayed for. And this woman had a baby and the sister told me that from the time of his birth the baby had not slept. It was four months old and more than that it was screaming and screeching day and night. And it was contorting its limbs. They took that baby to many doctors, to many pediatricians, to many psychiatrists, but there was no success. So we prayed over the baby, there was some improvement. The baby was now able to sleep one hour a day, which was obviously too little. Then the nun happened to tell me that the woman had told her that when she was pregnant with the baby she had a very great shock. So then I told the sister “why didn’t you tell me this before I prayed? Now send for this family.” Because in the mean time they had gone back to their village. “I am going to the next town to preach a retreat. And send them to that place. Because I feel that that baby will not be healed accept by the power for prayer.” At the last day of the retreat, the parents came with the little baby. I was happy when I saw them entering the hall. And what did I do? I asked one of the sisters to hold that baby and to be on one side. And I put the mother in the center of these 80 nuns making the retreat. And I told the sisters, after I told them about the shock the mother had, that we were going to pray for the mother, not for the baby. Or rather, for the baby through the mother. And as we were praying for the mother, the baby stopped crying and screeching. And as we continued praying for the mother, the baby fell into a deep sleep. And thru out those two hours praying meeting with a lot of singing and clapping and shouting, although not as much as you did last night. I thought the baby would get up and start crying and screaming all over again, but no, the baby was fast asleep. They wrote to us two weeks later that from that time the baby had been sleeping practically the whole day and the whole night. Maybe to make up for the lost sleep. Maybe because I prayed too much. You know prayer is like medicine, you cannot pray too much. And this was one of the most beautiful things in our ministry, praying for babies in their mother’s womb and praying for us retrospectively when we were in our mother’s womb. And wonderful things can happen instantly. Again, there is something else that Jesus came to do. Not only healing us spiritually, but forgiving our sins. Not only healing us emotionally from every fear even when we were in our mother’s womb. But even physically from all of sicknesses that come our way. And the Lord Jesus is doing today the same thing that he did along time ago. But above all Jesus has come finally to deliver us from the power of Satan. All this healings will not be sufficient, will not be adequate, unless we are also freed from the power of Satan in our lives. Some years ago, I was giving a mission in a certain town in India, the evenings were meant for the sermons, for the talks. And in the mornings we were hearing confessions, praying for people, counseling them. And as I was about to finish the person with me, there was a confusion at the door and I saw three women dragging a young girl into my room. And this girl was shouting “let me go! Let me go!” And then I asked the women “what is happening? Where does she want to go? Where is she pointing out at?” They told me “Father, she is pointing at the cemetery. She wants to go to the cemetery because we found her there as we were coming to the church. And we found her there about to kill herself and we stopped her just in the knick of time. And we dragged her by force to this place.” And this girl was getting violent, she was about thirteen years old. And she was shouting “let me go! I want to go there!” And then I held her hand and I said “I won´t let you go unless you tell me why you want to kill yourself.” She wouldn’t tell me at first but when we prayed by the power of the Holy spirit even the demons have to open their mouths and speak. And finally I got the whole story from her. She was studying in the eighth standard, eighth standard, in high school and two years ago she had failed in the examination. And she had to repeat the class. Last year, she had failed her exams again and she repeated the class again. And this year, she had done her exams so badly that she was sure she would fail the third time. But this is the first thing I want to tell you, this is how the hearts of young people are hurt, one of the greatest hurts of young people is their badness in their studies. They may try to do very well. They really want to study well but maybe their intellect may not be so bright and parents will tell them they are lazy. Parents will compare them to other children. And after studying very well if they fail, they experience a tremendous hurt within. They are ashamed of everything. Everybody is condemning them. So this is what the girl felt, that tremendous hurt and shame, but to make matters worse, her elder brother who was like a father figure to her, had told her “if you fail the third time I don’t want to look at your face.” You know, such remarks from people whom we love and who we think loves us, can be very painful. And this is what he said “if you fail the third time I don’t want to look at your face again.” And more than that, he said “you can go on and kill yourself. You can die. “ And this is what we call a curse. Now parents often curse their children without thinking and they think it is only a joke, that they said it only out of anger, but every word has the power to do things. Therefore Saint Paul says “never use words that break down a person. Always use words that build up a person.” So this was a great hurt, she was already hurt about her failure at school, the deep feeling of inferiority and now she felt extreme rejection. Her brother said “I don’t want to look at you again. Go and kill yourself.” Now, what to do? How to bring her the healing of Jesus? Is not easy to speak to children because obviously they cannot understand things we say. But under the power of the Holy spirit, the words would come out, so this is what I told her, I said “I am speaking not as a priest, but as an educationist, one who has been a principle of schools for many years” and I know what I am saying. See people, young people, will listen to you when you speak to them with authority, when they know you are talking sense and when you are speaking to them with love and compassion. So I told her “passing the eight standard at school is not the most important thing in life, that are many more important things in life and you are going to fail the eight standard…” now you may tell me this is bad news, I should never have said that, but you have to speak the truth, but as Saint Peter said “with love”. I said “you are going to fail the eighth standard and I want you to praise God with me for that failure” of course she wouldn’t do that, but she knew I was speaking with love and authority and therefore now she was praising God with me, for that failure. Then I prayed over her. Then, as I often do, I blessed holy water, and I gave her to drink, because this experience of healing can tire you and the person can become thirsty and exhausted. And I gave her this blessed water as a sign and symbol of the Holy spirit entering her but when she put it to her lips, she threw it aside “I don’t want that water. It is bitter. It is bitter.” Then I knew there was an evil force there also. I said now you can go, but she was not getting up from her chair. I said “I have to see other people. I finished with you. You can go.” She stood up, she was not going. I said “what more do you want?” she said “I want to cry.” I said “cry” and she collapsed on her knees and began to cry so loudly that even the parish priest came to see what was happening. He must be wondering why I am making all the girls to cry. I couldn’t tell him it was the Holy spirit making them to cry. Because crying is a process of healing. The gift of tears is the gift of the Holy spirit. And then she left. That evening in that big stadium, as big as this, where I was giving a mission. She came on the stage and gave her testimony and she said three things which I did not know. First of all, she said that when I was praying for her that she realized that her mother had taken her to many witchcraft people because she was failing her exams. And then she knew it was something wrong and she repented and she renounced all those occult practices. Secondly, as she was crying all that anger and bitterness toward her brother disappeared. And her heart was filled with a great love and compassion for him. And thirdly she said, after she left she was thirsty again, she filled her glass with water, she wanted to bring it to me again for me to bless it. But there were people already with me so she told Jesus “Lord Jesus you bless the water” and when she drank that water it was as sweet, if not sweeter, than the water I had blessed before. It was a sign to her that Jesus by the power of the Holy spirit had healed her and delivered completely. Praise the Lord.